The X Plus Real Estate Team, led by Weston Harding, has been ranked among the top 10% of all producing realtors in Chicago for the past 6 years. In 2016 we surpassed that honor, ranking among the top 1% by specializing in the investment, sale, and purchasing of 2-12 unit properties. In 2018, the X Plus Team became #1 for buying and selling 2-4 unit properties. With over 10 years experience of buying and selling multi-unit properties, the X Plus Team has facilitated the sale of over $150,000,000 in properties. Always striving for greatness, and providing the best service for our clients has always been our goal, it is with that in mind that in 2019 the X Plus Team has joined forces with Compass. 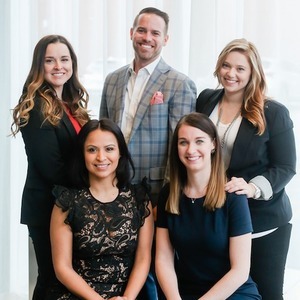 With a top line marketing department, leading tech resources and a national presence, Compass Real Estate helps us take the X Plus Team to the next level. X Plus has the most expertise in the 2-12 unit market in the Chicagoland area. Throughout the entire process — from helping our clients find the right property, to construction, and into the tenant rental process — X Plus is there every step of the way ensuring new and seasoned investor success. We began with the mindset that all clients deserve exceptional service with a hands-on approach to meet their unique needs, and with this mindset, we’ve helped many grow their investment portfolio.